Oh no!!!! 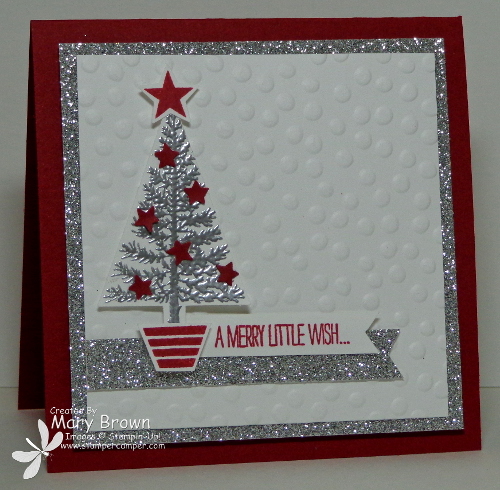 It’s the LAST DAY of the Create with Connie and Mary Holiday Collection 2014 Preview Week! That means it is the LAST DAY for the Early Bird special! That means you can subscribe to Create with Connie and Mary Holiday Collection for only $24.95 for 4 wonderful weeks of exclusive projects! And speaking of projects…oh my word…since it is the LAST DAY of preview week Connie has an AMAZING project (and FULL FREE TUTORIAL AND BLOG CANDY) for you today! So head on over to Inkspired Treasures to learn more! Growing up my grandma had a silver tinsel Christmas tree. Oh…I just LOVED that tree…it was so bright and shiny! I wanted to make a special card for our LAST DAY of Preview Week and thought sharing my grandma’s tree (well you know what I mean about that) would be perfect! Punch out little stars using the Star Border punch. Add to tree using glue. 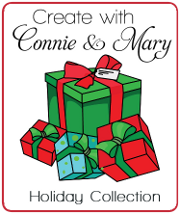 TODAY IS THE LAST DAY for Preview week for the Create with Connie and Mary Holiday Collection 2014! We are featuring the Christmas/Holiday (no Halloween/Fall) products from the Holiday Mini! Collection runs for 4 weeks – 24 AMAZING projects that are perfect for your holiday classes and camps and gift giving! Our design team is AMAZING and you don’t want to miss out! This is the last week for the Early Bird Special – subscribe now and save $5 – only $24.95 for 4 weeks of projects seen only by our subscribers. Our projects are NOT shared on our personal blogs or out on the Internet. This entry was posted in Create with Connie and Mary, Holiday Mini and tagged Festival Of Trees. Bookmark the permalink. I love it. I will have to make it too. Grandma had this in her living room.